The Galaxy Gear device will have a Samsung Exynos 4212 dual core processor at 1.5 GHz with an ARM Mali-400 MP4 GPU. It will also have 1 GB of RAM, all running on a 320×320, 1,67 inches screen, with a 2 MP camera and Bluetooth and NFC connectivity. The website that posted these says that the info is coming from an anonymous source, so it must no be taken for granted. 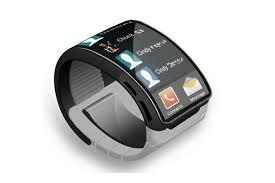 Although the launch date gets closer and closer, as we know that Samsung will reveal the Galaxy Gear smartwatch at the IFA event in Berlin, together with the Galaxy Note III device.